On Nov. 26, Sunday, Maine “Yaya Dub” Mendoza took to Twitter to clarify several things about her personal life. Among the things she made clear was the real score between her and Alden Richards. 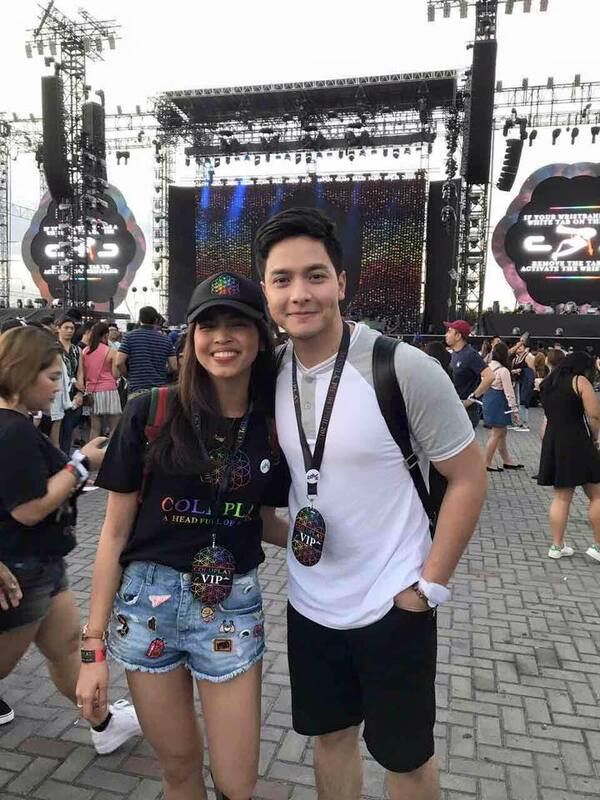 Mendoza and Richards are collectively known as AlDub, a duo regularly featured as hosts on the GMA variety show “Eat Bulaga.” They rose to fame in 2015 and broke records several times on Twitter. On “Eat Bulaga,” the AlDub duo plays a couple. But as Mendoza emphasized in her letter to her fans, she and Richards are not romantically involved and everything between them is nothing but platonic. Here is the entire transcript of Mendoza’s letter to her fans. The Tagalog portions have been translated to English and the typographical errors from the original letter have been rectified. “Hi! You might be wondering what this letter is about. Ako din (Me too) , I am wondering what this letter is going to be about. I do not actually know how to start writing this letter; and I do not actually know either if it is right to do this. All I know for sure is I need to let some things out of my chest. And I couldn’t find any other way to do it so I am writing here on my blog, like I used to. By the end of this letter I am pretty sure majority of you are going to turn your backs on me and probably hate on me. Pero sabi nga nila (But as they say), speak the truth even if your voice shakes. When I was new in the business, you all came to my life and loved me for exactly the way I am. Hindi ko kinailangang magpanggap para mahalin niyo. At nagpapasalamat ako dahil tinanggap at minahal niyo kung sino at ano ako bilang tao. Nagpapasalamat din ako sa Diyos siyempre dahil binigyan niya ako ng “kakayahan” at pagkakataon na magbigay ligaya sa iba. (I didn’t have to pretend just to be loved by you. And I am grateful that you accepted and loved who and what I am as a person. I thank God, of course, because He gave me the “ability” and chance to give happiness to others.) I honestly could not be more thankful for the gift of making people happy by just being myself. I believe that is a rarity here in the world of show business, but I am really thankful God had given me that some kind of knack. Maaaring wala nga akong talento pero masaya ako na nakakapagpasaya ako ng ilang tao. (I may have no talent but I am happy that I am making other people happy.) That’s more than enough for me. I used to be REALLY amazed by the support AlDub was getting back then. I was overwhelemd by all the attention and support you are giving us. AlDub Nation 2015, ang saya saya lang. When everyone was taking things lightly and we were all just so happy. Do you remember the good ol’ days? Back when things are so not complicated? Still worth remembering to this time. WHen AlDub happened, everything escalated. MY life changed drastically when Kalyeserye began. We’ve had blessings on top of blessings. Alden and I were given so much more than we could ask for. But more than anything, we will be forever thankful that God had given us people like you. People who support us in the things we do; those who always stood by our sides and defended us against judgments and criticisms those who love us truthfully as a pair and as two different individuals; and those who never gave up. And for all the love and efforts you have given us, you deserve to know the truth and at this very moment Alden and I are just friends. We are a love team. Naiintindihan ko na pinoprotektahan niyo lang kami, at nagpapasalamat ako sa lahat ng ginagawa niyong pagtatanggol sa amin, pero sana maintindihan niyo din na hindi kailangan maliitin ang pagkatao ng iba. Hindi niyo sila kailangan tirahin ng masasamang salita. Alam kong karamihan ng pinagdadaanan ko ngayon ay parte ng mundong ginagawalan ko. (I understand that you are just protecting us, and I am thankful for everything that you are doing to defend us, but I hope you understand also that belittling others is not necessary. You don’t need to say hurtful words to them. I am aware that what I am going through right now is part of the world I am living in.) But some things are really getting out of hand, kailangan na din natin ilagay sa wasto (we need to rectify these things). But then again, I know, that at the end of the day, love wins over hate. I still believe, and I fervently hope, that the same love who brought all of us here together in the beginning, will heal all scare and unite us again. Let us not focus on those who judge, but to those who love without any hesitations and expectations. I am who I am right now because of that. Again, thank you very much for the love and support you have given me. I will forever cherish the presence of the whole fandom in my life. I do hope I have also given you enough joy for you to give me the dreedom I believe I deserve. Freedom to feel what I want to feel, be what I want to be, and do what I want to do. Alden deserves the same, too.